Is there room for another video game console on the market? 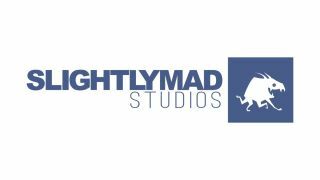 Slightly Mad Studios, the developer behind racing sims Project CARS and Need for Speed: Shift, seems to think so. The studio’s CEO, Ian Bell, made a surprise announcement on Twitter regarding an incoming console called the ‘Mad Box’ (full tweet below). It’s not much to go on, but the spectre of another high-powered next-generation console to compete with the PS5 or Xbox Two is enough to get some attention. What is the Mad Box? The Mad Box is a proprietary video game console in the vein of Xbox or PlayStation. The name is reportedly an acronym of ‘Media Arts Development Box’, and/or a contraction of the ‘Madness Engine’ that Slightly Mad Studios uses to make its games. The tweet alone makes a grand claim for “the most powerful console ever built”, a term currently saved for Microsoft’s powerhouse, the Xbox One X – which is sure to see an even more powerful upgrade when the next generation of Xbox consoles launches, likely in 2020. All the intended Mad Box specs we have so far boil down to 4K resolution gaming, and – crucially – support for virtual reality headsets. 4K will be necessary for any next-gen console, with the push towards high graphical fidelity and games that can make the most of 4K television displays. While the tweet promises VR in 60fps (frames per second), Ian Bell clarified in a later comment that this meant “60fps per eye”, which would make it an impressive 120fps / 120 Hz refresh rate in total. The refresh rate is how many time per second the image you see is refreshed or replaced, with higher refresh rate speeds meaning smoother motion and lower risk of motion sickness – crucial in VR. If accurate, this would match the top 120 Hz capability of PlayStation VR, and be beyond the 90 Hz of the HTC Vive or Oculus Rift. Given Slightly Mad’s own development experience, we could be looking some incredibly-rendered racing sims, and a console powerful enough for truly high-end VR gaming – speaking to Variety, Bell confirmed they were developing the console to be compatible with “most major VR headsets”, which is unlike anything Xbox or PlayStation are currently offering. Given how entrenched Microsoft and Sony's consoles are, though, the Mad Box could also end up as a console with no audience that noone can be bothered to develop any games for. Could the Mad Box happen? One the most pressing questions is how Slightly Mad Studios plans on getting such an ambitious console off the ground. As the studio behind racing sims Project CARS and Need For Speed: Shift, without previous hardware releases to its name, the announcement seems slightly out of nowhere. We’d expect this more from a hugely bankrolled gaming division in Amazon or Google than from a moderately successful racing sim developer. If the investment is there, however – or comes in off the back of Ian Bell’s teasing tweet – we could see a console come to market in the next few years, whether or not anyone buys it. Reactions on Ian Bell’s Twitter have varied from excitement, to bemusement, to outright dismissal. To be fair, many things seem far fetched until they arrive, as the first Xbox likely seemed when it released to take on the Sony PlayStation. There’s no release date for the Mad Box as of yet, other than a vague ‘three year’ timeline, which would see the Mad Box released a year or so into the life cycle of the next-gen Xbox and PlayStation consoles. Ian Bell refers to the Mad Box as “beyond next-gen”. With little confirmed, and the exact scope of next-gen consoles still uncertain, it sounds like little more than hype – though we’d happily be proven wrong. TechRadar contacted Ian Bell for comment, however he responded there is "little else" he can say at the moment.